President John Dramani Mahama is 59 years old today and there are a lot of birthday wishes he has received from Ghanaians and the international community. 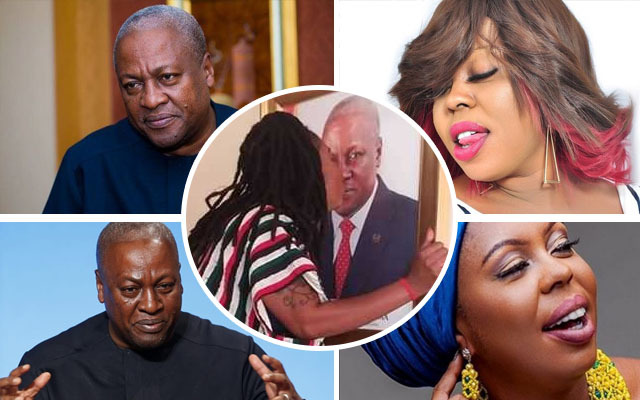 One personality whose love for John Dramani Mahama is unrivaled is the controversial Afia Schwarzenegger. I love you Mr President #JMToaso"
Afia celebrated the President for transforming Ghana and changing the lives of many Ghanaians adding that through the efforts of the president, Ghanaians don't need to visa to 'Dubai' with the work he has done on the Circle interchange.